Everyone is aware that life is parodic and that it lacks interpretation. Thus lead is the parody of gold. Air is the parody of water. The brain is the parody of the equator. Coitus is the parody of crime. 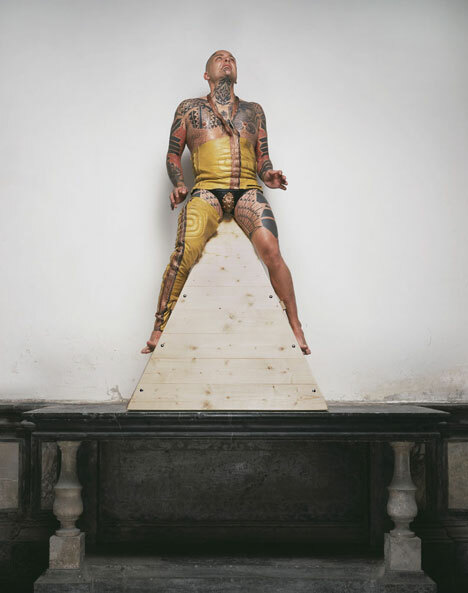 Each summer, Ron Athey and Vaginal Davis organise in Los Angeles the now legendary Visions of Excess, which on December 17 2004 was translocated to Ljubljana and enhanced with Slovenian stars. The Grad Kodeljevo Castle was transformed into a wild cabaret setting featuring, in a span of twelve hours, more than ten glittering performances loaded with libido and wild humour!